This series offers simple plots with easy to understand text. The stories are entertaining and the characters are likable and inspiring. Nine-year-old Mandie Shaw knows that cats don't just appear out of nowhere, especially in the woods near her family's log cabin. But when Mandie and her good friend Joe hear a softmeow on their way home from school, they soon discover that's exactly what has happened. Who would leave a cat alone in the woods? And will finding the answer mean Mandie will have to give up the first pet she's ever had? Someone's moved into the old cabin on the hill...Sarah, a girl the same age as Mandie! Mandie can't wait to have a new friend to share things with. But Sarah doesn't seem to want any friends, and Mandie can't understand why. What is Sarah hiding? Mandie's determined to take the first steps toward friendship -- and find out! Mandie Shaw loves to visit her new friend, Faith, at Miss Abigail's big house. There they can play with each other and admire all the beautiful things. One thing the girls can't touch is the china cabinet in the front hall. 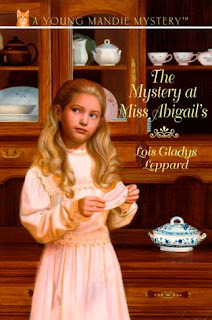 It's full of precious china that only Miss Abigail is allowed to handle. But when a beloved teapot turns up missing, does it mean a thief has broken into Miss Abigail's house? 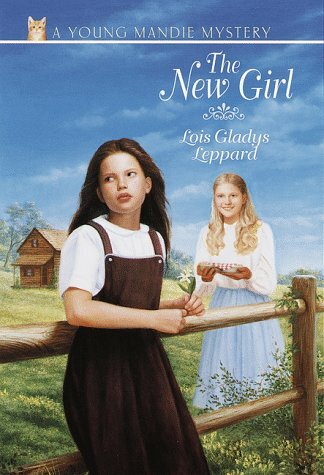 Will Miss Abigail have to tell the people of Charley Gap that they should all lock their doors? 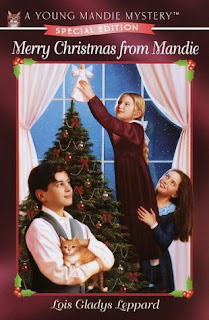 Mandie's determined to find the answer -- and the missing teapot -- in time for Miss Abigail's big Christmas party. Mandie made lots of friends this year . . . so many that she doesn't know what to give them all for Christmas! 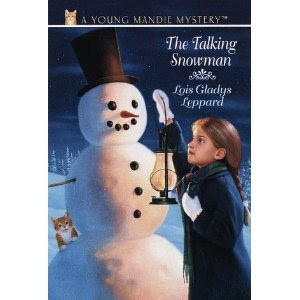 She's stumped--until gifts begin to mysteriously appear on her doorstep, gifts that would be perfect for her friends. Where are the gifts coming from? Is there really an angel at work in Charley Gap? Includes a special holiday craft project perfect for young readers! Winter has arrived in Charley Gap! There's so much snow that Mandie and Joe make a huge snowman in Mandie's front yard. One night, after her family is asleep, Mandie hears someone talking outside her bedroom window. No one is there except the snowman. And he can't talk . . . or can he? 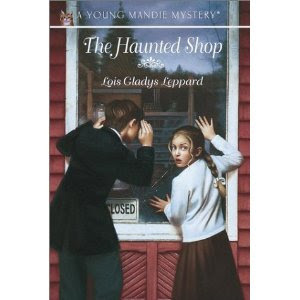 The answer is a surprise to everyone--including Mandie!--in this spirited mystery with a heartwarming solution. Some mysteries are better left alone. That?s what Mandie?s best friend, Joe, says when strange things begin happening in the woods that surround their homes. Unexplained noises, spooky shadows, and weird voices all convince Joe that they should stay away. But Mandie won?t have any of that! She declares there?s no mystery too scary to solve. 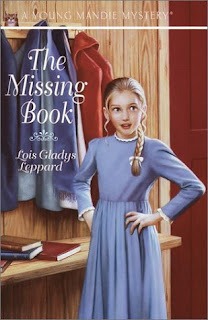 At least, there hasn?t been until now. . . .
Mandie’s reading book is missing! Her good friend Joe carries her books back and forth to school for her, but he doesn’t have it. She doesn’t dare tell her parents her book is lost. Books cost a lot of money. And Mr. Tallant, her teacher, orders them by mail weeks in advance—there’s no bookshop in Charley Gap. The search is on for Mandie’s missing book. . . . Where will it turn up? 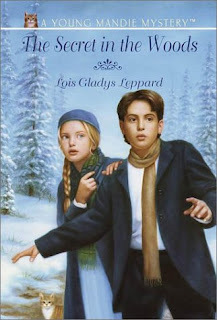 Mandie, Joe, and Faith are thrilled when Miss Abigail invites them to join her on a trip to Bryson City. Joe and Faith are looking forward to meeting Miss Abigail’s sophisticated friends. 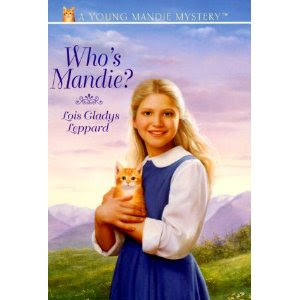 Mandie is, too–but she’s also hoping for a mystery to solve. And she’s not disappointed. There’s a spooky general store in Bryson City, a store where folks say strange things happen. Cobwebs droop from the ceiling, and the merchandise is covered with dust. But rumors aren’t the only thing swirling around town–a ghostly apparition has been seen floating down the shop’s aisles!